Immigration policies around the world have hit the headlines this year with families separated at the Mexico border and children detained in cages in Australia. Meanwhile the UK’s handling of the Windrush generation forced the resignation of Amber Rudd as Home Secretary and saw her replacement Sajid Javid almost immediately renounce the ‘hostile’ environment policies of his predecessors. He has since made a number of moves that indicate a more liberal approach to immigration policy. But despite what appears to be a change in the direction of travel, indefinite detention is still a key part of the Home Office’s approach to dealing with those people it believes are living in the country unlawfully. Will a more liberal, open approach – if that is what emerges – equate to ensuring that immigration policy and practice follow the Rule of Law, particularly in relation to detention? – What rule of law concerns around immigration policy still persist, despite the different direction offered by the new Home Secretary? 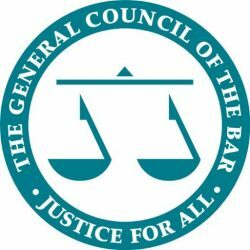 – Does Brexit pose any specific opportunities that might help Government to ensure that immigration policy and practice follow the Rule of Law?